Target Haul #2: Looking Expensive Without Breaking the Bank! For my birthday, I got a few Target gift cards. Blessed are those who give Target gift cards! I went buck wild on these excellent sales both in-store and online. Check out these deals I scored. Disclaimer: These discounts are not the same everywhere. 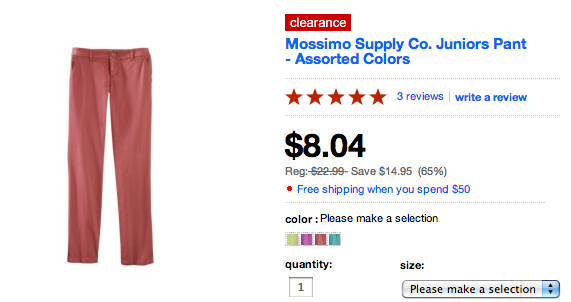 I ordered these Junior colored Pants online in Red and Purple. They are low-rise ankle pants and they fit comfortably. I’m short (5’2 tall) and I typically have trouble finding pants that aren’t too long. I rolled these pants up once and they were the perfect length. 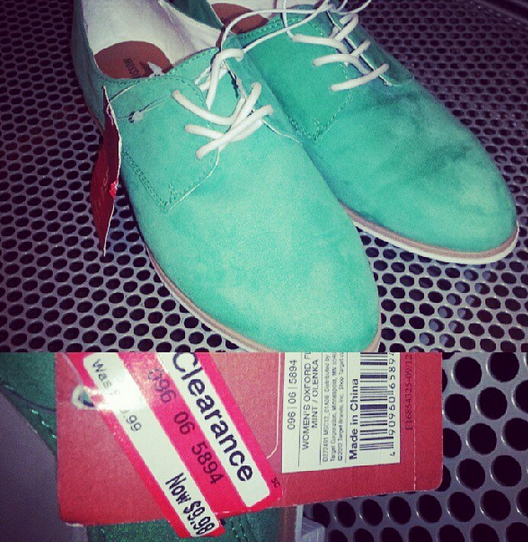 I have had my eyes on this chic pair of mint green Oxford shoes. My neighborhood Target only had them in size 5, for only $9.98!!! This was the first time in a long time I was dissatisfied with my size 8 feet. Eventually I wore down and bought them online for $19.99. When they came in the mail, they fit true to size. They are a slim style of Oxford that make your feet look long and sleek. These super comfy wedges were only $7 in the store! I am mostly a flats-and-loafers girl. I spied these awesome wedges after my sister told me they were in the clearance section. They dress up any pair of blue jeans. They give me height without wearing down my feet. What’s not to love ? I love the helpful Target staff in my neighborhood. 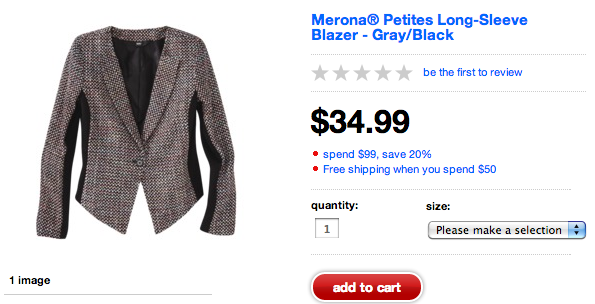 One of the ladies in charge of the fitting room gave me a heads up that these Merona blazers were on sale. 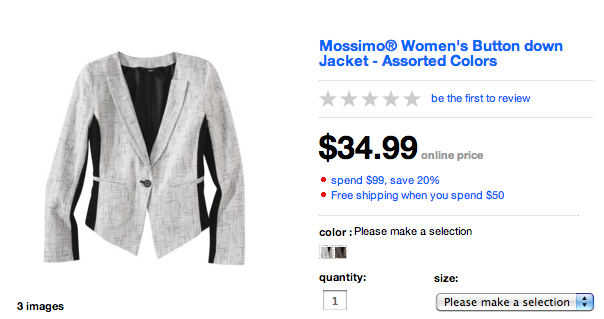 In store, this blazers were on sale for $11. A size Small was a little roomy but it fit. This blazer was also $11 but when I put it on, it looked much more expensive. When I went back to the store a few days later, they were all gone! I’m glad I snagged them up! 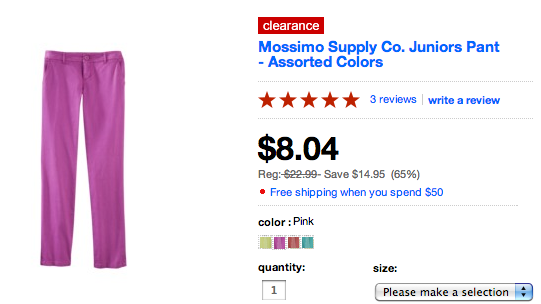 I got this purse in Magenta for $7! My school bag (an oversized denim tote bag) was in serious need of a replacement. I’m constantly stuffing things papers and notebooks into my purse. It was so heavy that the strap was stretched out. I was constantly living in the fear that my strap would break and the contents of my purse would spill out unto the floor. 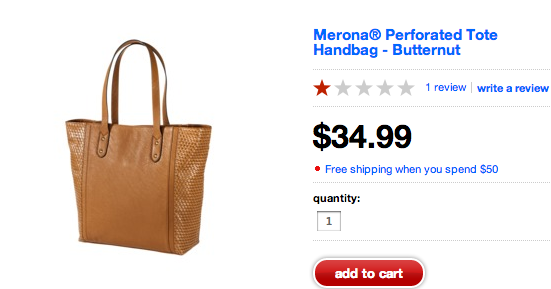 This purse was on clearance for $17! 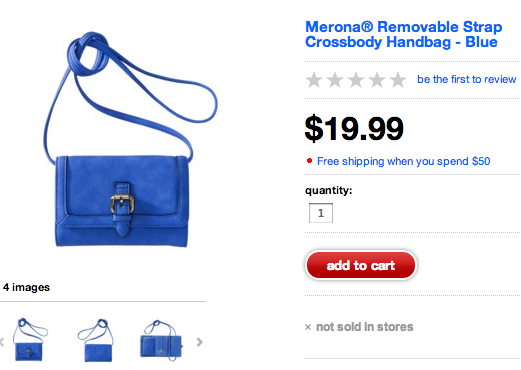 I would have never purchased this purse for $35, so at $17 it was a steal! It is the perfect school bag for teacher. It has a lot of space and it is a sturdy bag. I’ve been getting compliments for this bag. It has a textured finish on the sides which makes it stand out from the average tan bag.